One way to minimize our exposure to electromagnetic radiation is to fill our homes with plants that can absorb or eliminate these waves. Keeping these plants around can help you be more energized, lower your stress levels, and reduce the frequency of headaches that are often linked to radiation. As a bonus, they make your house look nicer and keep your air clean! Cactus is well known as an efficient absorber of radioactive waves thanks to an in-depth study done by NASA. It is especially useful for absorbing the radiation that is produced by computers, making it an excellent plant for any office, whether at work or in your home. It also absorbs the radiation that may be coming from nearby cell phone towers, so it is truly a plant that protects you from a wide range of radioactive activity. Part of what makes cactus such a wonderful plant is that it is so easy to maintain. 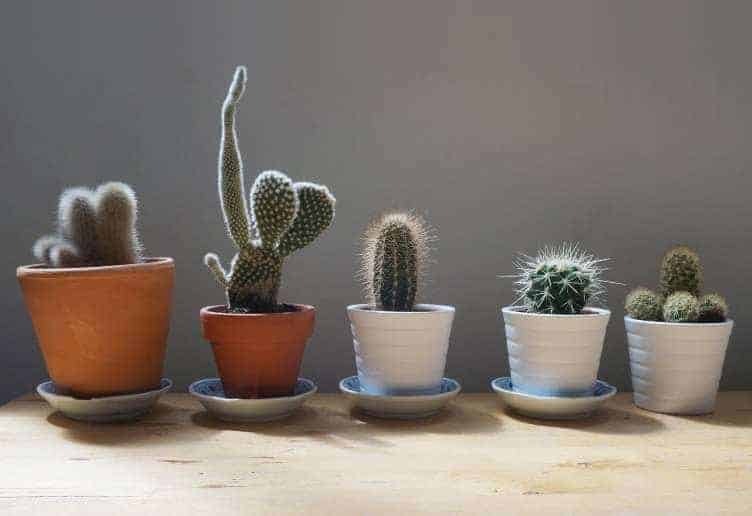 Cacti do not need to be watered every day – just when the soil gets dry. They grow well with a lot of light in a warm spot, but if you are in a cold climate you can keep them indoors near a window, and they will do just fine. This is preferable, of course, because they need to be kept in a straight line from your computer if you want them to most effectively absorb the harmful radioactive waves that it emits. Cacti are unique-looking plants that can add a comfortable, southwestern ambiance to any room. Because there are over 2,000 species of cacti, you can mix and match different designs, colors, shapes, and sizes to put together a real work of art and keep your home pretty and fresh. They are slow growers and should live for a long time provided that you take the minimum effort required to keep them growing healthily. The Snake Plant, also known as Mother-in-Law’s tongue, is another plant that is very effective when it comes to absorbing computer radiation. Placing it near your computer or close to other major sources of radiation can be a great way to keep your room healthy. It also does a fantastic job of converting CO2 into oxygen, so you will benefit from cleaner air and clearer, stronger lungs! The snake plant’s long, thin appearance makes for a great addition to any room. It is very versatile and can be grown in the ground or in a variety of pots, no matter what the material. Like the cactus, a snake plant does not require constant watering. You just need to check the soil about once a week to make sure that it hasn’t dried out. Then, simply water it until it is fully moist, but be careful not to drown it, especially in the winter months. Make sure not to get the leaves wet when you are watering the plant, as this can lead to decay or a variety of other issues. The snake plant does best in indirect light, so the ideal spot for it is away from a window in a room that gets several hours of a light a day. Whether you have it near your TV, computer, or any other electronic device, you will be benefiting from its ability to absorb a large amount of radiation, protecting both you and your family from the harmful effects of electromagnetic waves. The spider plant is similar in appearance to the snake plant, but the leaves are limp instead of rigid and tend to flow out over the side of the vessel rather than point straight up. The spider plant is a succulent that not only absorbs pollution and cleans your home of harmful gases but is also very useful in absorbing radiation from your electronic devices. The spider plant is another one that requires very little maintenance. Like the snake plant, it grows best in indirect light, making it the perfect indoor plant. Too much sunlight or heat will cause the leaves to burn, to make sure to keep the plant in an area that receives plenty of shade, or to move it away from the window after several hours of sunlight exposure. These plants do best in temperatures between 55 and 80 degrees Fahrenheit. Spider plants can be self-sustaining, as they will produce flowers that may cause a new spider plant to form! Once this new plant reaches 2 inches, you should replant it in another pot. Now you have a second spider plant that you can put anywhere, and you didn’t even need to go to the store to buy it! This is one of the most economical ways to protect yourself and your family from the harmful EMF waves that can be found throughout your home, especially in areas with electronic devices. The betel leaf plant is a beautiful and simple accent plant for any room. On top of its great looks, it has a strong ability to absorb electromagnetic waves. Because it has hydroxyl and superoxide scavenging properties, it can be used to eliminate these radioactive components from the air. In addition to this, it absorbs harmful gases, meaning that the air in your home or office will be clean and clear, letting you breathe more easily. The betel leaf plant is versatile and can be grown in a garden, on a balcony, or in a container inside your home. If you want to take full advantage of its radioprotective properties, you’ll want to keep it inside near your devices that emit the most radiation. Radiation travels in a straight line, so keep that in mind when setting up your plant, and make sure not to block the path with other items. The betel leaf plant is slightly more difficult to maintain, as it requires regular watering. You should check the soil every day. If it is dried out, water it fully and check again in a few minutes to make sure it doesn’t all get absorbed. You want the soil to maintain a consistent level of moisture. Keep the plant in partial shade to minimize the risk of burning the leaves. If your room is sunny, simply move it to a corner that is far away from the window and receives less sunlight. The stone lotus flower is a succulent that is similar in appearance to a cactus but is slightly different biologically. It is great at absorbing radiation and considering its size, it is one of the most efficient plants at doing so. These unique succulents are small and can be kept on your desk right next to your computer, making for a great functional decoration. You’ll be able to look at something pretty and know that it is protecting you from the harmful waves coming out of your electronic devices! Like most succulents, the stone lotus is relatively easy to care for. It requires very little light and even less water, so it should be able to survive no matter where you put it as long as there is a minimal amount of sun every day. Because it can be planted in stones, it is great at holding onto water, so you only need to water it every 2 or 3 days. Just check to make sure there is a little bit of moisture, and if there isn’t, give it a little bit of water. Stone Lotus plants are relatively affordable, so you can get a bunch of them to put around your house for a cohesive, matching look. They really pack a punch for their size and will help absorb radiation throughout your home. Because they are relatively compact, you can place them on almost any surface without them taking over or becoming intrusive. Aloe Vera has long been used for its many medicinal purposes, but it is also capable of absorbing high levels of radiation. Like many other healthy plants, the Aloe Vera plant also cleans your air thoroughly, absorbing carbon dioxide and converting it into oxygen. It is a nice-looking plant that is easy to grow, so you can harvest it and use it for its many other properties while new plants continue to bud. Aloe Vera should be planted in a wide container using a high-quality potting mix similar to what you would use for other succulents. This container should have sufficient drainage, as too much water can lead to rot or wilted leaves, which could ultimately result in a dead plant. These plants do best in indirect sunlight, so be sure to keep them far enough away from the window to get several hours of shade every day, especially if you live in a hot climate. Because of its radioprotective properties, you should place your Aloe Vera plant in a straight line from the electronic device that is emitting radiation. Make sure not place anything between the two, as this will diminish the ability of the plant to absorb radiation. Having several Aloe Vera plants throughout the house is an excellent way to protect yourself from radiation and keep your air clean and fresh. Ivy is one of the best absorbers of radiation available. It can absorb up to 90% of benzene in the air within 24 hours. This means that it is extremely effective and works fast so that you can start benefiting as soon as you purchase and place this beautiful plant. It is also known to clean and greatly improve the quality of your air, eliminating substances such as carbon dioxide, carbon monoxide, and formaldehyde. Ivy can be planted indoors or outdoors, but if you want to take advantage of its ability to block and eliminate radiation, it is best to use it inside the home. It is easy to grow inside as long you have a room that can provide the plant with plenty of bright light. If you have large windows in the south-facing portion of your home, this is the ideal spot to put the plant. Make sure not to overwater your ivy, as it does best in semi-dry conditions. Check to see that the soil is dry on the top before you water the plant again. You should also plant your ivy in a vessel that has plenty of drainages, as it will begin to wilt if it sits in standing water for too long. If you notice that the water isn’t draining, dump the excess water and try to find a better container for the ivy. 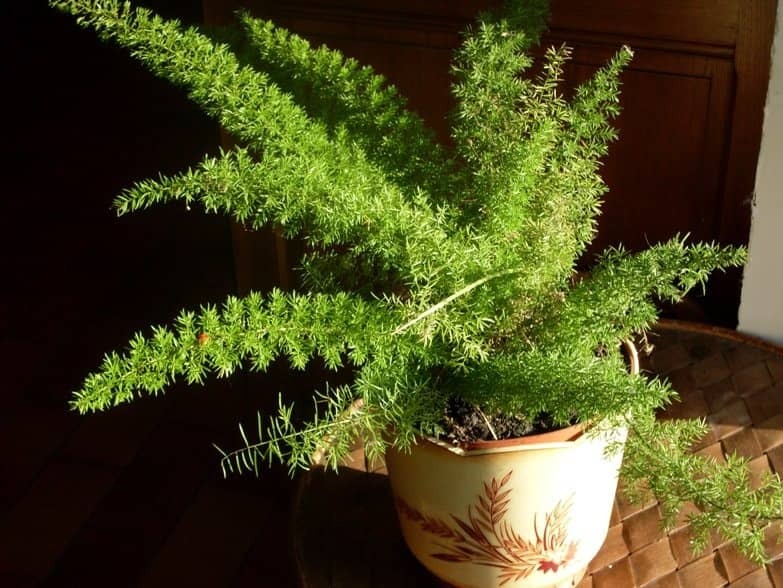 Asparagus fern has a wonderful fragrance and is highly effective when it comes to absorbing radiation. It has well-known antioxidant properties that help to defend against damage that may be caused by exposure to gamma radiation. 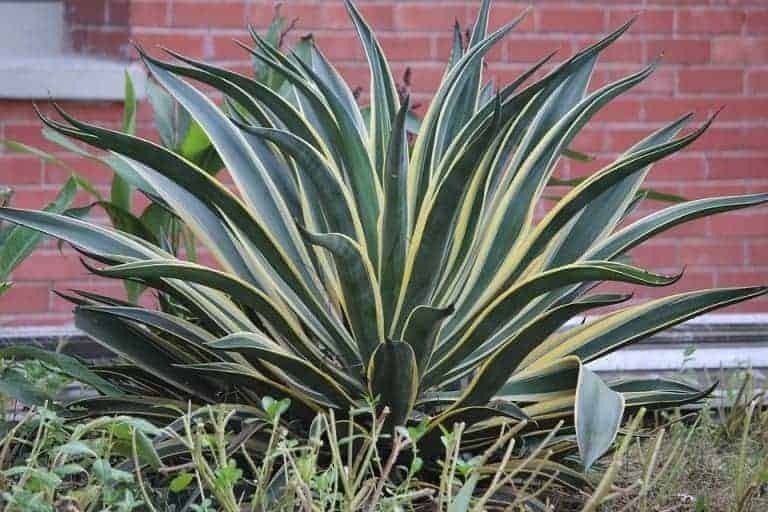 It is also a strong plant for absorbing electromagnetic waves that may come from your computer, television, or other electronic devices in your home. Another easy plant to care for, the asparagus fern makes for a great indoor decorative item as well as a functional, radiation-absorbing plant. The spurs can be slightly thorny, however, so make sure to wear gloves when performing maintenance and to keep it away from where children or pets may be able to access it. You will want to keep your fern in a warm, humid area. If you are in a cool, dry climate, this can be done by having a humidifier in a room near the plant. The asparagus fern loves water, so always keep it hydrated and water it every day. It is best grown in a pot, and you should fertilize it several times a year to give it the nutrients that it needs to survive. This plant may require a bit more maintenance, but it is worth it due to its aesthetic and functional properties. Mustard greens are not only a delicious and nutritional food item, they are also great for protecting against electromagnetic radiation! While you may be used to seeing them grown in outdoor gardens, mustard greens can be very useful indoors because they can protect against damage that may be caused by oxidative stress or radiation. This means that your air will be cleaner and the amount of radiation in your home will be greatly reduced. You may want to start your mustard greens outdoors, but once you have enough, you can transfer some to an indoor pot. You’ll be amazed at just how quickly it grows! The best way to care for them is to keep them in a sunny area with partial shade and to fertilize it several times a year. They need about 2 inches of water a week, so make sure that you are staying on top of that as the plant grows. The mustard greens will grow quickly and may start to overflow out of the pot. This is okay as they are perfectly edible and can provide a nice spicy kick to any of your meals. They are also high in vitamin A, C, and beta-carotene, so the health benefits extend far beyond just blocking radiation. The rubber plant is large, aesthetically pleasing plant that has many radioprotective properties. It helps to absorb electromagnetic waves wherever it is kept but will be the most efficient when stored near your electronic devices. It can be grown inside or outside and is relatively easy to maintain considering its beauty and size. In addition to protecting you from radiation, it has plenty of air-purifying properties as well. The rubber plant prefers to be kept in a mild environment with indirect light and a cooler temperature. Keep it in an air-conditioned room that gets several hours of sunlight during the day, especially if you live in a hot climate. Windows with curtains can be great, as they will help it receive just the right amount of light. When it is growing, you will need to keep it moist, watering it regularly if you notice that the soil is drying out. When it is not growing, you may only need to water it once or twice a month as it won’t be using up as many nutrients. The rubber tree is a beautiful, extravagant plant that looks fantastic in any style of room. Placing several throughout your house will give you a tropical feel while protecting you from many of the harmful electromagnetic waves that are constantly being emitted throughout your home. In today’s world, most people are constantly exposed to electromagnetic radiation. Whether we are using our cell phones, cooking with the microwave, or using an electric shaver, many everyday tasks leave us exposed to these harmful waves. Too much electromagnetic radiation can lead to a variety of health problems, including development or increase of allergies, an increased risk of cancer, and a multitude of neurological disorders. Having plants such as those mentioned on this list, you’ll be doing yourself and your family a favor and contributing to the overall health of your entire home.